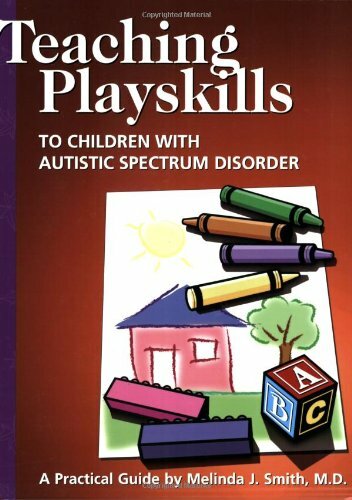 A guide for parents and educators to teach children with Autistic Spectrum Disorder playskills, and describes imitative play techniques, the use of building materials--Legos and wooden blocks--dressing up, pretend characters, sensory play, playdates, playgroups, and more. Play therapy. Chapters:Teaching Playskills, Imitative Play, Manipulatives and Building, Toy Play, In Vivo Pretend Play, In Vitro Pretend Play, Games, Music, Sensory and Physical Play, Water and Sand Play, Arts and Crafts, Playdates, Playgroups, Playgroup and Playdate Themes, School-Aged Children.